I was a fetus when I first heard someone singing. In my household there was always singing. My mom sang, my dad sang, my grandmother sang. There wasn’t a day that went by without singing. Most of the songs I heard as a child were sang to or about God. As I find myself in a new culture and in a mixed marriage, language, traditions and habits often clash. A few things stay true, one of them is the purity of singing the songs of my childhood. The singing I heard from the womb and grew up with came from pure, joyful hearts with the need to express feelings. My paternal grandmother sang while she worked. Every time she was washing clothes she was singing about Salvation in Jesus. If she was sweeping the yard, I heard songs about sinners coming to Jesus. On Saturday mornings I heard her sing songs from the hymnal. The impressive thing as I look back is that those palm sized black books only contained words. Vó Maria knew most of them and we too learned those timeless melodies of love for God. My maternal grandmother too sang while doing her chores. Her songs were a bit more on the sad note. They expressed hardship but there was always rescue and hope at the end. I remember that at times those songs led to memories, which led to tears. That’s when we kids freaked out because we didn’t know how to comfort her. Only Jesus could. From the womb I heard new songs. When I was around 6 I heard those songs being put in an album. I learned about how songs come to life. In the midst of my dad’s challenging work and church schedules there was time for inspiration, writing, arranging and producing. Mostly those songs were performed in empoverished areas. That’s where I saw the most joy coming from an audience. As a child I learned my portion of children’s songs. There was a song for everything: a song that could be sang in the morning, a song for meal times, folk songs, songs sang while we played in a circle, songs for bed time. During that time I developed my love for the radio, an ample source of new songs. A sure way that the radio by the kitchen’s window would be turned up was if one of dad’s songs was in the radio. There was always a sound of rejoicing when that happened. My paternal grandmother always listened to my dad’s LP loudly, usually in the afternoons. My mom used to say that the LP probably had a hole because of the number of times Vó Maria played that particular project. As young as 6 I was encouraged to sing at church. I backed up the first time because I was scared. I shared with a Sunday school teacher that I knew a particular song but she thought I said I wanted to sing it in front of the congregation. That morning my dad took me to the pharmacy to get some medicine for my tummy ache (which was caused by nervousness) and I got some sweet popcorn on the way back to church. The second time around I didn’t escape. I had sang a song at my grandmother’s home during a home group meeting with my uncle on the guitar. The Sunday School superintendant was there and he told me I was singing that song again that next day. I haven’t stopped singing in church every since. The mark of a real singer doesn’t come from singing in front of millions people. It doesn’t come from having a record deal and being able to do runs (most people I grew up with can’t do runs). I believe that it comes from having song in your heart that cannot stop. Whether in bad or good times, that love song comes out of your mouth and influences the atmosphere. Those are the most powerful songs I’ve sang. I can even be by myself and there comes a song out of my heart. That sound brings hope, comfort and assurance for the future. Sometimes I feel like the Israelites on Psalm 137. Hardships come, situations I have never faced before. It feels like I’m a foreign landscape. 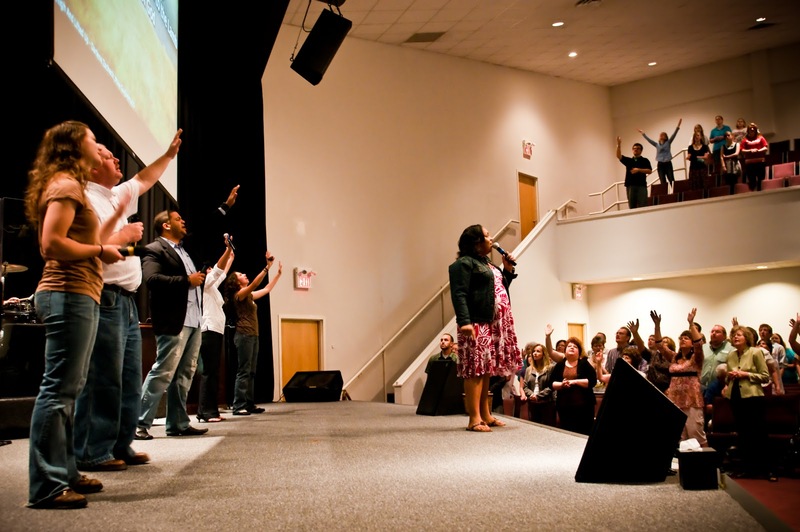 How can I sing the songs of the Lord in a foreign land? When I am facing difficulties, the first thing that disappears is the song. Songs usually come from happy hearts though humans are very capable of producing songs of contrition and mourning. As I look the hills where my help comes from, my heart remember to sing even louder. 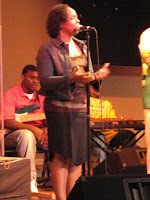 This kind of singing allows me to praise God with my memory. It brings me much needed hope and refreshment. My children hear me sing all day long. I don’t care if others think it’s strange. There are made up songs about waking up from a nap and waiting on mommy to get them out of the crib. There are songs from my childhood sang right before a meal - my son joins me with a loud amen so he can hurry up and eat. There are songs that I sing to my kids that came from me hearing the Lord tell me what each one of them needs to hear daily. When my son was born we started singing Psalms 23 to him before he goes to sleep. It gives him assurance that he doesn’t have to fear, the Lord is his Sheppard and He’s always near. I intend to sing to the Lord as long as I live. I enjoy secular songs but the songs of the Lord are the only ones that give me fulfillment, reassuring solidity and plain hope. I encourage you to find a song and sing it out loud today.